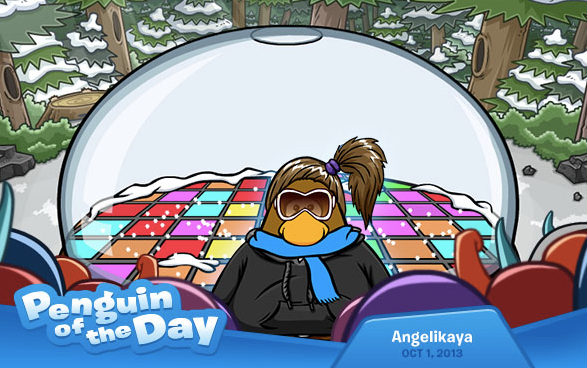 Club Penguin Cheats by Mimo777 Club Penguin Cheats by Mimo777: Penguin of the Day: Angelikaya! It's fun playing games on Club Penguin, especially when you've made them up yourself! Angelikaya uses her igloo to invent her own games with her buddies using puffle beds and lanterns. Sounds brill! Contact CP with your nominations! At this point, it doesn't even matter if your nice or not because you'll end up being POTD no matter what.